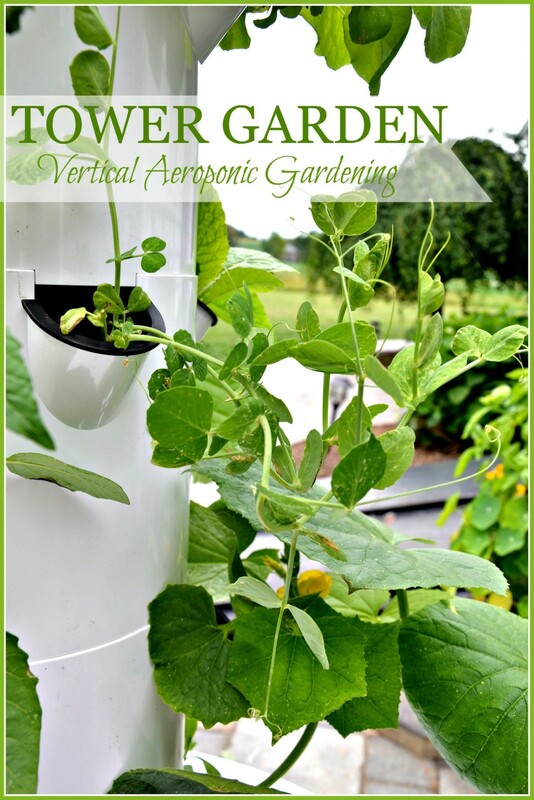 TOWER GARDENING… FUN, NUTRITIONAL AND DELICIOUS! Something is new in the garden this year! Well, not actually in the garden and more like on the patio… it’s my new TOWER GARDEN!!! 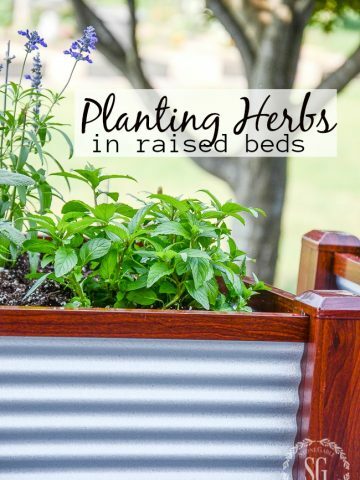 Oh, this is such a fun, new-to-me way to garden! I’m growing so many wonderful herbs and veggies without soil in a vertical tower. The plants grow 30 percent faster than their in-ground counterparts! My lettuce is ready to be cut and I am enjoying my herbs! Oh yummy! Come on… I show you how this wonderful vertical garden works! It’s so so much fun!!!! Here it is when I first dropped the seedlings into the Tower Garden… I ordered seeding but the Tower Garden comes with seeds and seed pods to grow seedlings yourself. I just could not wait to get a jump-start on the plants! The Tower Garden came with everything I needed to start my amazing vertical garden! And here the garden is just three weeks later! Amazing! What fun to watch them grow!!! 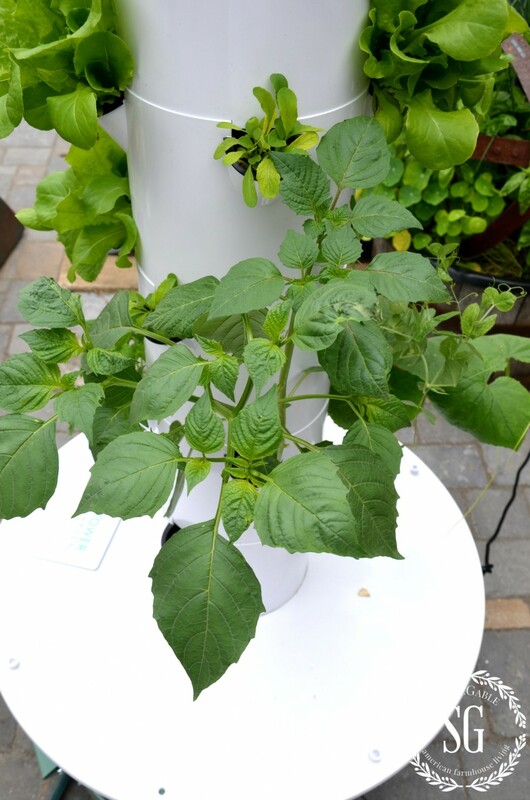 You can see a time-lapse video of a growing tower garden HERE! Here’s a great thing about the Tower Garden… I can cut the veggies and they will come back. Just think, garden leaf lettuce in July and August! This little garden is a wonder! When it’s gets too cold for the plants to be outdoors I’m bringing the whole thing inside so I can grow herbs, veggies and flowers all winter! Flowers like marigolds and petunias and phlox and even sunflowers all winter long!!! How cool is that? 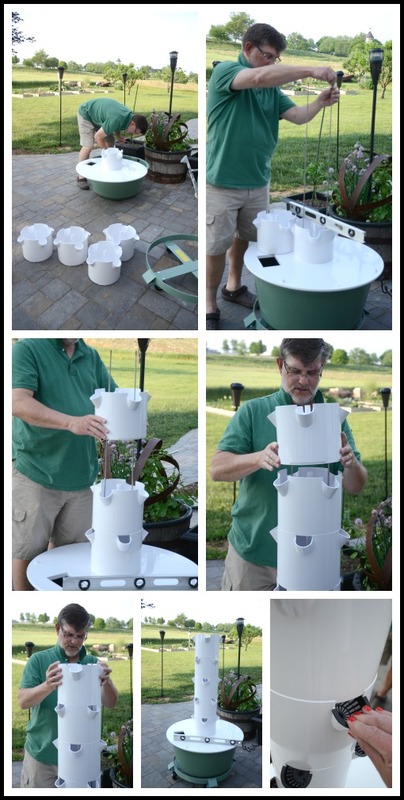 Bobby and I (and when I say “Bobby and I”… I mean Bobby) put the Tower Garden together in about 15 minutes. Here’s how he did it.. I know, isn’t he so cute? Yes, yes he is!!!! Be still my heart! I snapped the little pods in the tower! That was my contribution… and cheered Bobby along, of course! Here’s the lettuce ready to be harvested! 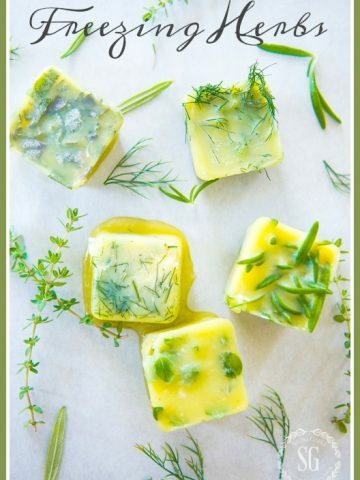 I’m thinking about using the dill and parsley in the tower to make a yummy GREEN GODDESS dressing to toss with the lettuce! I have a bottom pod ready for a CANTALOUPE!!! Can you believe it? Cantaloupe!!!! I also have a tomato cage accessory to put on the Tower Garden so that all the veggies can be stabilized and hang from it! They won’t last long though, the Tower Garden is right outside my back door so I can grab the veggies and herbs I need and then back into my kitchen to prepare them! Very convenient! All of this on one tower! 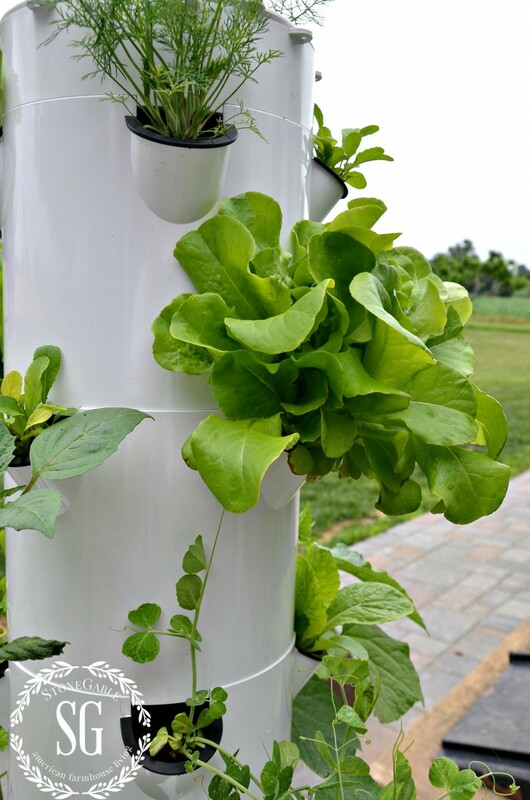 The veggies grow in pods without soil and are watered with a nutrient rich tonic as the water in the base goes up through the tower and drips down on to the little roots feeding them and the plant. LOVE the sound of the trickling water! 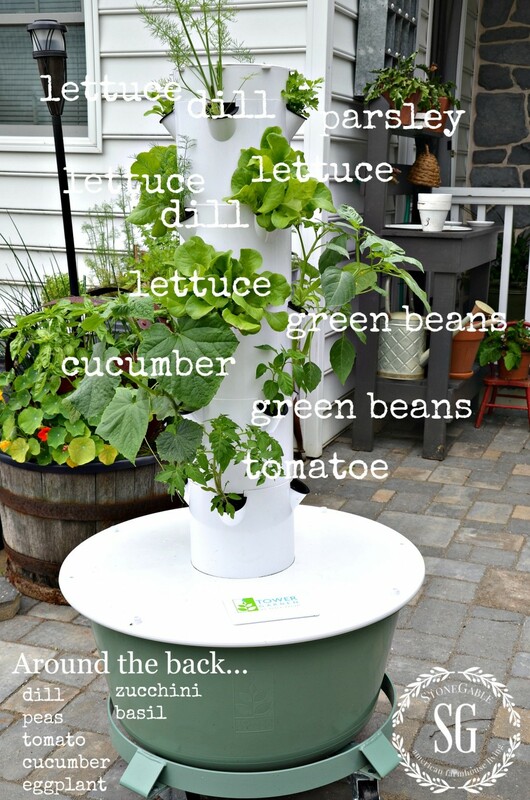 The Tower Garden comes from Juice+. I am an avid Juice+ capsule taker! The capsules and gummies provide whole food nutrition from 30 veggies, fruits and grains!!! No chemicals just great whole food! My daughter-in-law is very health conscience and is a Juice+ consultant! Thanks, sweet Abby for introducing me to all the great Juice+ products! I love love love them! 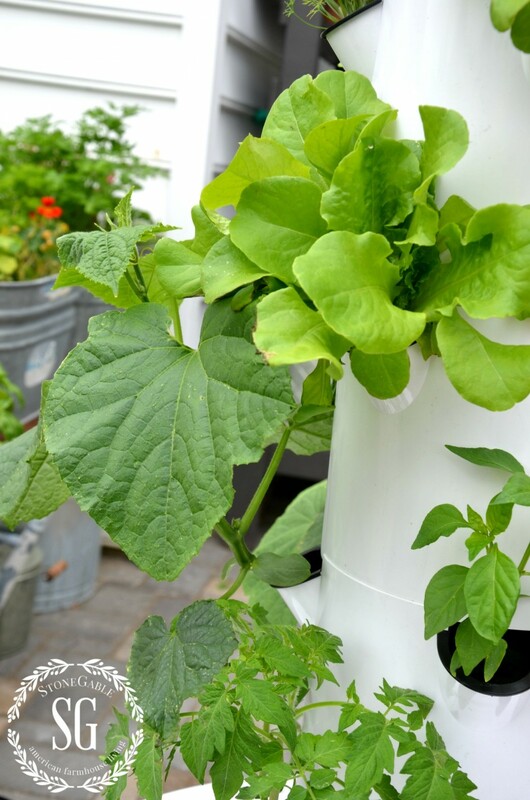 If you are interest in getting this fun, healthy, growing TOWER GARDEN click HERE! Juice+ has a very easy payment plan too! And if you have any questions write them in the comment section of this post and Abby will answer them. I’ll update you on my vertical gardening adventures as things grow and change!!!! A big hug and thank you to my daughter-in-law Abby and Gwen Wang for sponsoring this yummy and fun post!!! I love this Tower Garden and am very excited about having one and all the opinions are 100% mine! Remember to pin this to your GARDEN or HOME Pinterest boards. You can follow me on Pinterest and see all the fun things I am finding to pin HERE . 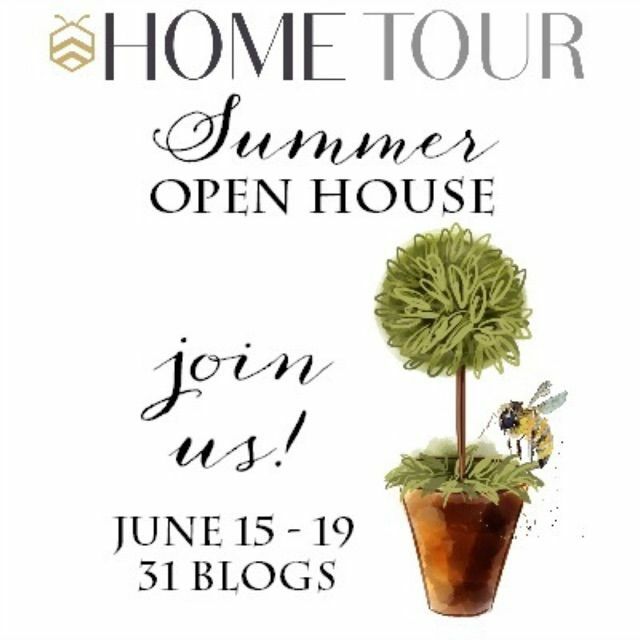 Our bHome SUMMER HOME TOUR is going on all this week! 31 bloggers sharing their fabulous homes!!! Because I don’t want you to miss a home here are the links to the all the homes on the tour so far. Make sure you check out these very popular bloggers and their homes ready for sumer! Oh my goodness, this is amazing!! I have to show this to hubby, he is going to want one! 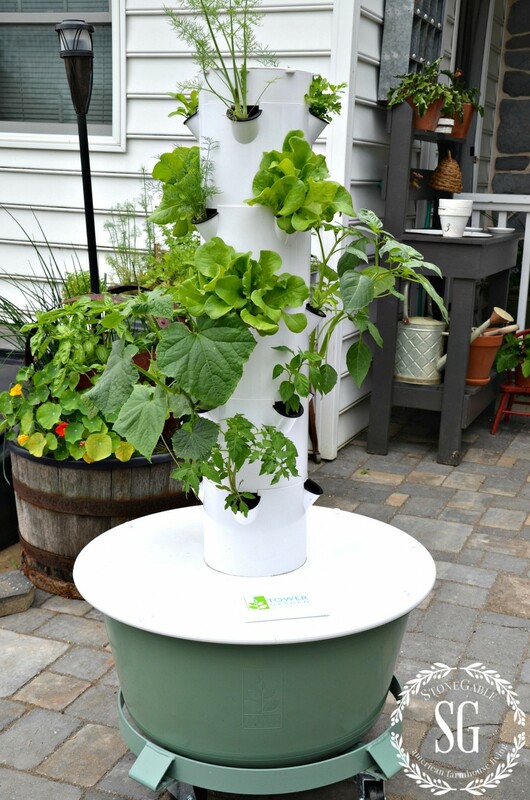 Cindy, I love this wonderful Tower Garden! I’m growing the best veggies, virtually work free! 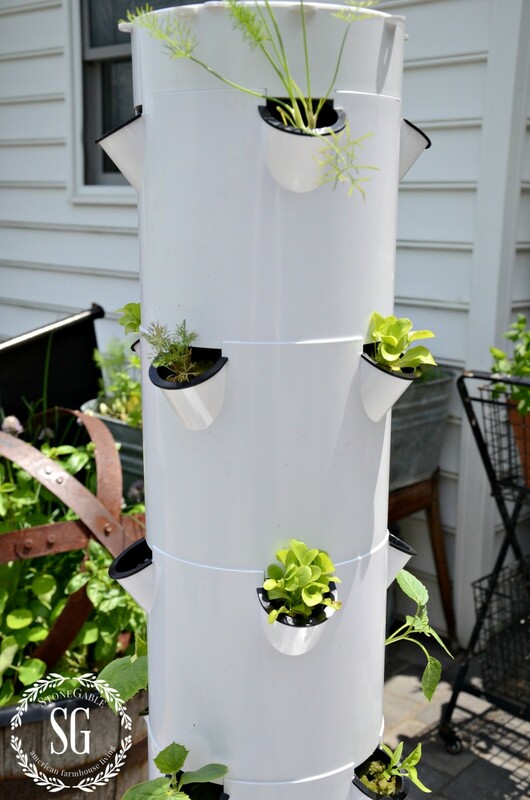 Love the tower garden have to get one for my grand daughter as she just moved and has a small deck and this will bring perfect for her. That would be a great idea/gift for your daughter! It’s perfect for patios, balconies, & terraces since it doesn’t take up much room and she’ll have 20 fruits/veggies/flowers within a few feet from her house! Please feel free to email me at abigailvpratt@gmail.com if you have any questions! 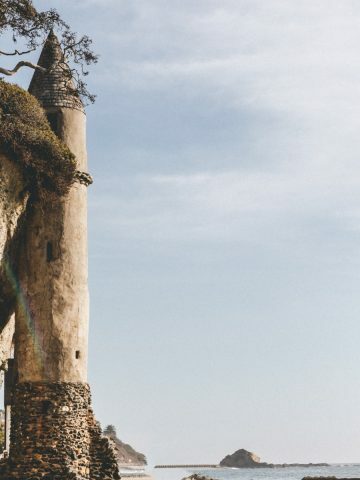 Love that tower garden!….Maybe I can elevate it even more so that the deer can’t reach it!! !…what a beauty! This is really great! We have a tiny garden so adding this would be awesome!! Wow – how cool is that! I’m going to the website now to check it out! Such a creative idea for a garden! 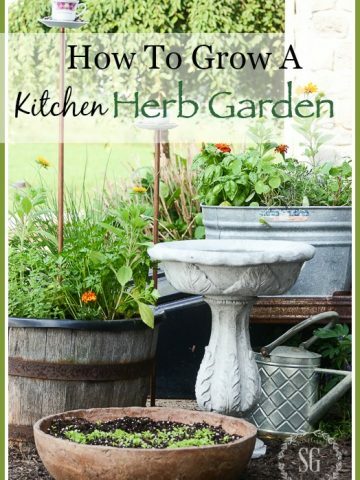 Unique way to make gardening simple and painless! Love it!! I gotta say, that’s a pretty darn snazzy contraption! It would make it very handy to place it on the patio for easy access. Thank you for sharing this! Interesting, I’ll be anxious to see how it does later in the season, so keep us posted. Head over to the Tower Garden site for prices and for payment plans!